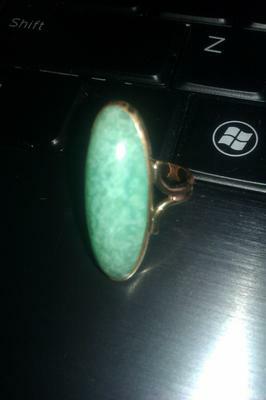 This ring is definitely an Ostby and Barton piece. 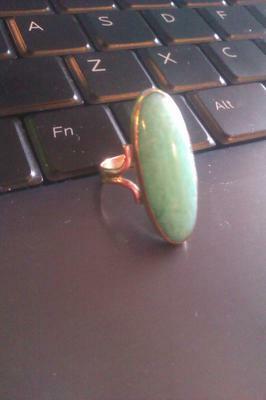 I can't tell what the stone is, it looks like jade, but I can't be sure. The ring has been sized, and whoever sized it never remarked the gold karat. The stone minus setting is a little less than one inch long.